City View, Garden View, Street. 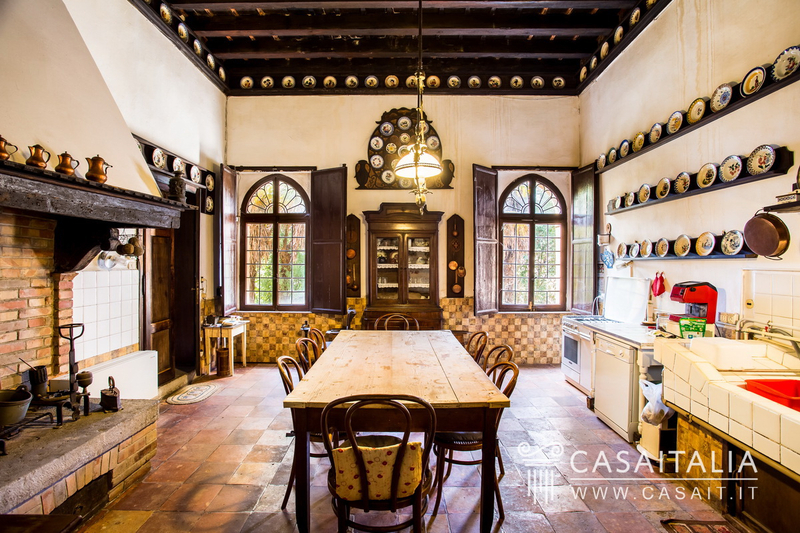 Palazzo dello Scrittore is a historic Venetian villa for sale in a commanding location in the heart of the ancient village of Arquà Petrarca and with a breathtaking panoramic view of the Euganean hills. 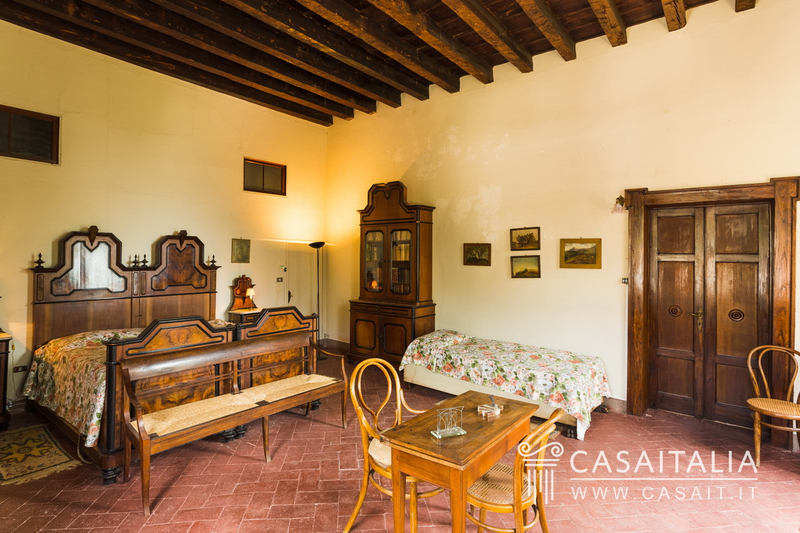 The residence dates back to the 14th century and has a total surface area of 1.440 sq.m, including 480 sq.m of attic space, and is surrounded by approximately 600 sq.m of private garden. 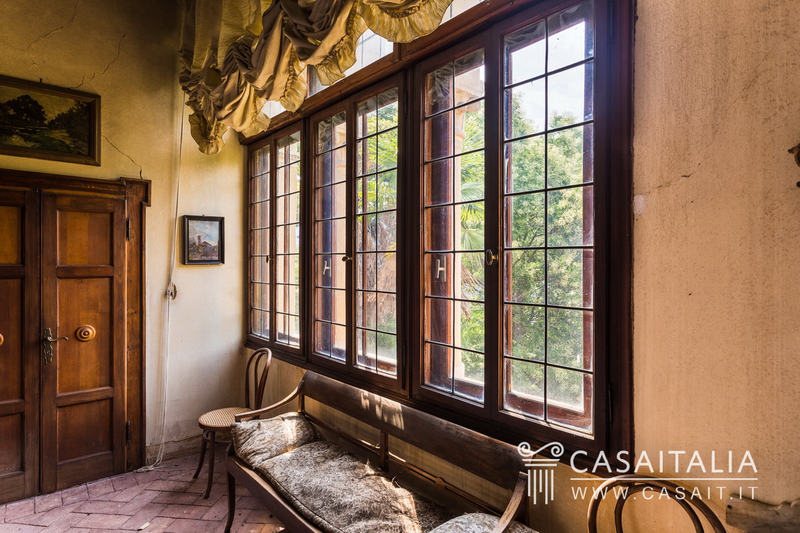 The property is situated 28 km from the centre of Padua, a little under an hour from Venice (62 km) and a little less than an hour from Treviso (80km). 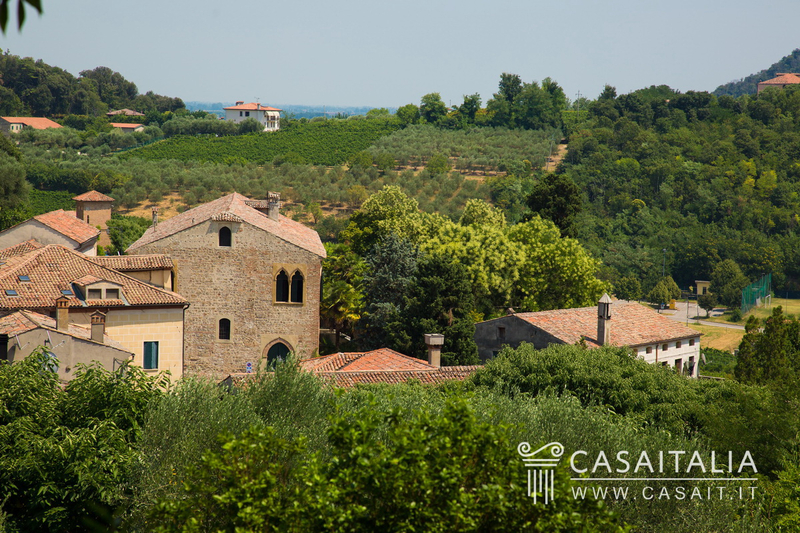 Venice (69 km) and Treviso (85km) airports are around an hour away by car. Description of buildings From a large entrance hall on the ground floor, going up a small staircase, it is possible to access the living area, comprising a large impressive drawing room, dining room, sitting room, living room, kitchen with fireplace, studio with fireplace, bathroom and a large cellar. The entrance hall also leads to two large areas which could be used as a living room or sitting room and to the final large room, a potential studio. 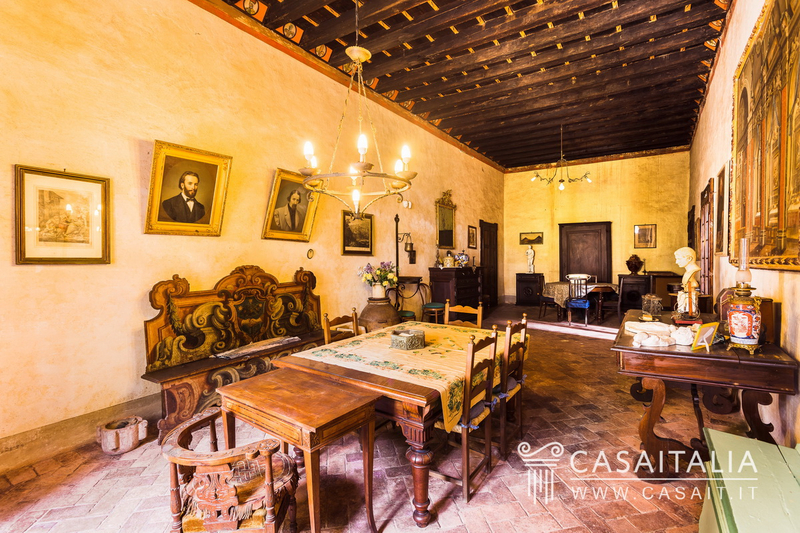 Two internal staircases lead to the upper floor, where there is another large drawing room, a living/sitting room, a studio, 6 bedrooms and 3 bathrooms. The third and final floor is divided into two large areas for use as attic space. 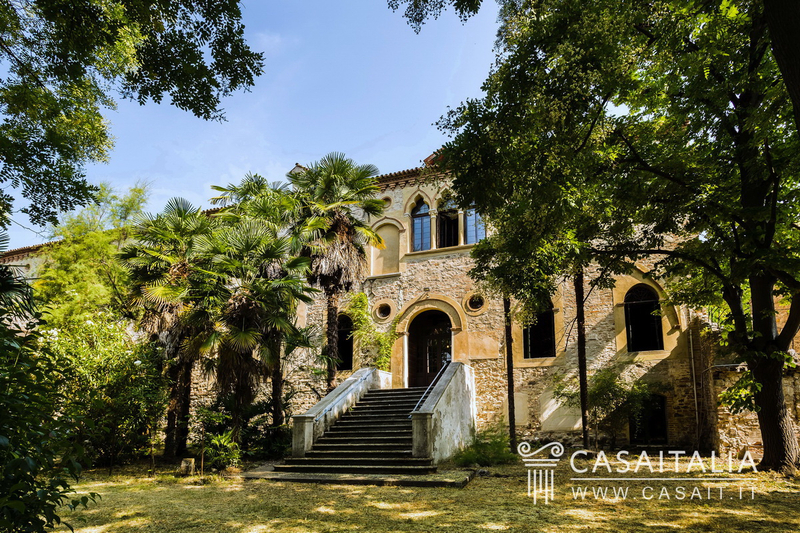 State and finishing Palazzo dello Scrittore is of great historical significance and is written in the register of Venetian villas. 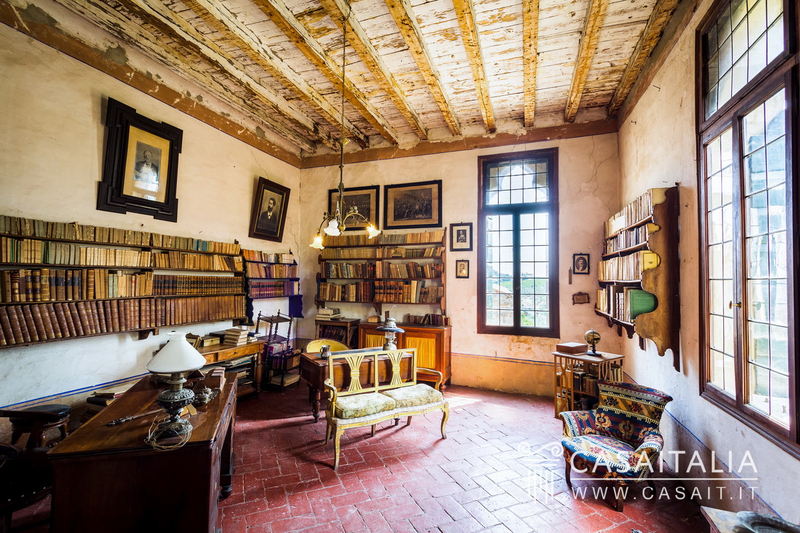 The property has always been under conservation and structurally is in good condition. However, it does require some internal renovation, particularly the fittings. 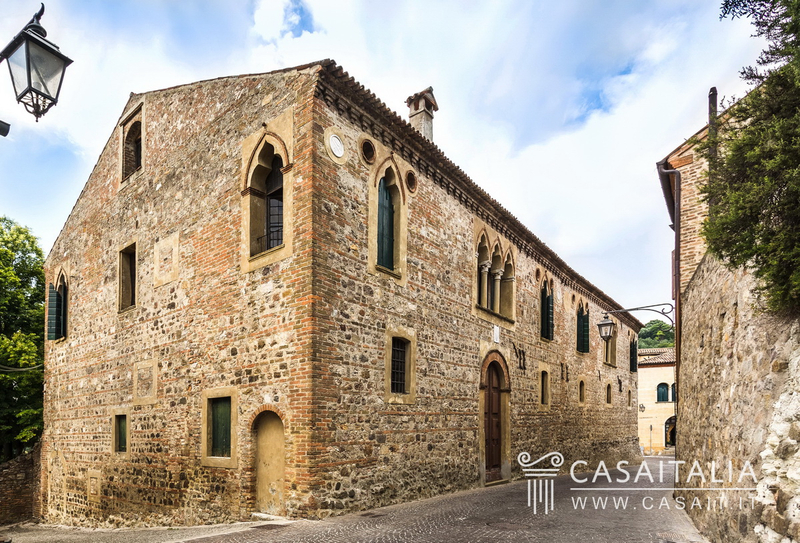 The outside is exposed stonework and is finished with mullioned windows in the Gothic style. 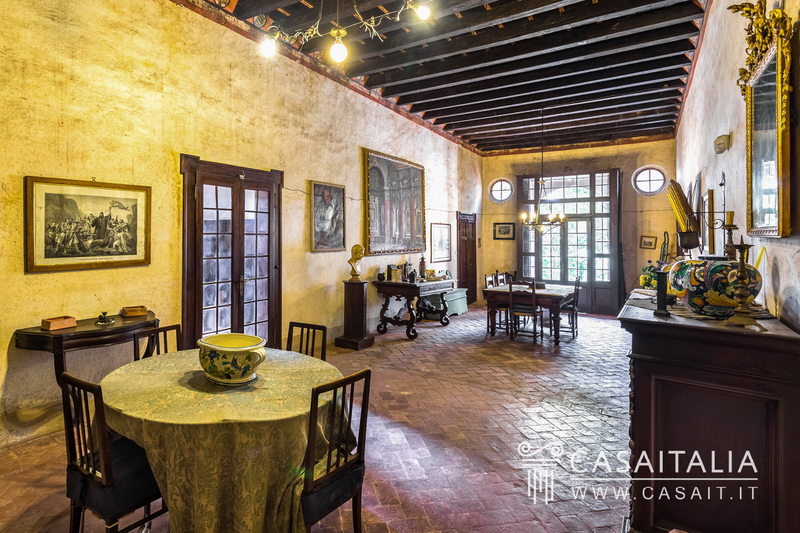 The finishings are typical of the early 1900s, with original tiled floors, leaded doors and windows, largely wood-beamed and decorated ceilings. 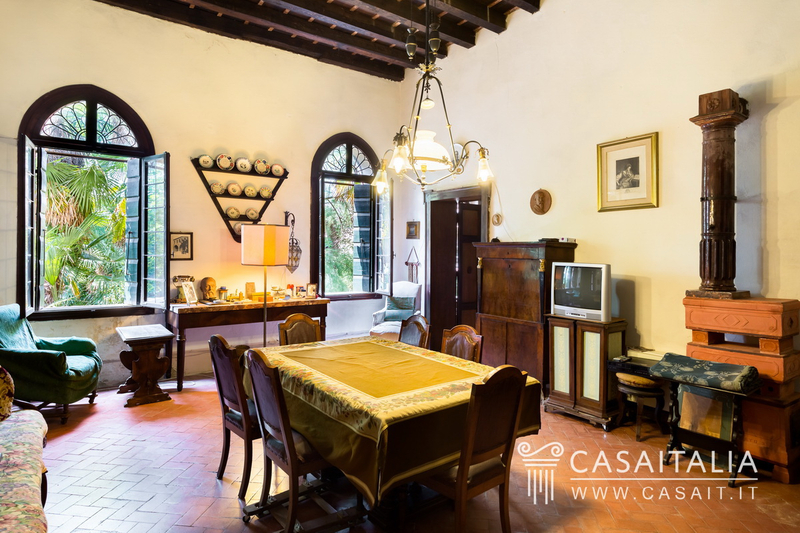 External areas The property benefits from a private garden of approximately 600 sq.m, adorned with tall palm trees. 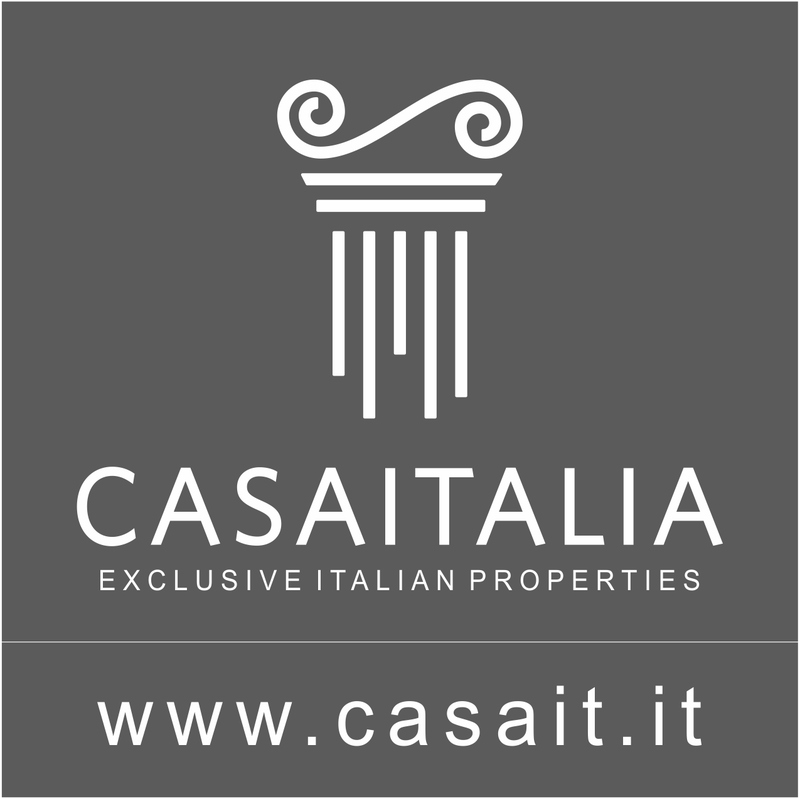 Use and potential uses The palazzo, which is situated in the centre of one of the most beautiful villages in the Euganean hills, is ideal for those looking for a charming and impressive home, with all the appeal of a historic residence.